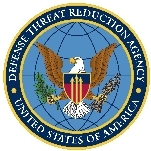 The Defense Threat Reduction Agency (DTRA) is the combination of numerous legacy organizations, formed with the overarching goal of reducing the threat of weapons of mass destruction (WMD) to the United States by either eliminating foreign stockpiles or mitigating their risk to the U.S. and its allies. Much of its work is done cooperatively with foreign nations, such as the mutual examination of nuclear stockpiles, and the dismantling of weapons and equipment of formerly hostile nations in accordance with treaties like the START agreements. The agency also develops countermeasures against novel threats, both for domestic use and for combat support. Its headquarters are located in Fort Belvoir, Virginia. The agency operates sites in New Mexico and Florida, as well as 17 satellite operation centers around the world. The end of the Cold War caused a massive shift in the strategic goals of the Department of Defense (DoD). In 1991, the START I treaty came into effect, binding the U.S. and recently independent ex-Soviet states to cut their nuclear stockpiles in half to 6,000 warheads by 2001. In the same year, Congress passed the Nunn-Lugar act, which funded the establishment of the Cooperative Threat Reduction (CTR) program to dismantle domestic and foreign stockpiles. In the following years, similar initiatives were implemented to counter the threat of WMD (a term coined in reference to the nuclear blasts of Nagasaki and Hiroshima, which was resurrected with the 2003 invasion of Iraq) and the rogue regimes and non-state actors that threatened to utilize them. To maximize information sharing and efficiency, in 1998 the Secretary of Defense William Cohen unified a number of agencies into a centralized Defense Threat Reduction Agency (DTRA). Five legacy organizations were combined to create the new agency. These included the Defense Special Weapons Agency, the Onsite Inspection Agency, the Defense Technology Security Administration, the office of Cooperative Threat Reduction, and the Chemical-Biological weapons defense program. The creation of the new agency coincided with the announcement of the Defense Reform Initiative (DRI) in 1997, a reorganization designed to cut costs through consolidation, and to increase efficiency by implementing “best business” practices. DTRA’s budget increased 70% during the agency’s first decade in operation, with the largest increase of 20% occurring between the years of 2002 and 2003. DTRA’s wide variety of tasks can be simplified into three main categories: inspection, disarmament, and technology development. Inspection and disarmament are often correlated, as is the case with the mutual disarmament treaty, START I. The agency is involved with inspecting foreign stockpiles and leading tours of domestic stockpiles to foreign inspectors to build trust that each partner in the agreement is upholding its commitment to reduce weapons to the agreed amounts. It also assists in nations disarming conventional weapons and military equipment. In 2007 the DTRA contracted Washington Group International (acquired later that year by URS) to assist Albania to eliminate its chemical agent stockpile. The agency regularly calls on private firms for assistance in carrying out its mission; it awarded contracts worth over $100 million dollars in January 2008 alone, and has published an extensive list of its 2011 contractors and their respective awards. The DTRA also contracts businesses to assist in technology development. Although technology development is one of their main tasks, the agency has no in-house research and development, and thus coordinates the overall effort while contracting specific work out to individual businesses. Technology development covers any research that can reduce the risks of WMD: researching bunker tunneling bombs; building blast-resistant structures; developing chemical/biological countermeasures; detecting bombs and nuclear active material at a distance. The agency also performs combat support. A staff of liaison officers provides a two-way information flow with troops on the ground, giving feedback to the agency, and supplying materials to those in need. Aside from its everyday operations aimed at minimizing current threats, the DTRA maintains the Advanced Systems and Concepts Office (ASCO), which focuses on potential, undiscovered threats. The agency hires contractors (often the same that are hired for applied science) to predict potential threats and develop defensive strategies. Projects range from infrastructure assessment to reports (pdf) gauging the potential usefulness of role-playing games and massive multiplayer online games in simulating terrorist attacks and responses. Another report (pdf) examines foreign perspectives on U.S. long-term nuclear strategy and posture. The report stresses the difficulty for both allies and non-allies in interpreting the long-term security goals of the U.S., given the discrepancy between the government’s infrequent vocal commitment to global non-proliferation and its often hawkish preemptive deterrence. The report suggests clarifying the U.S. nuclear posture to avoid misinterpretation and encourage other states to increase their own transparency. The DTRA’s largest stakeholders are the contractors paid massive sums to assist the agency in weapons inspection, disarmament, and research and development. The money flowing from government coffers is the lifeblood of these organizations. Smaller contractors have included universities, such as Pennsylvania State University, University of Cincinnati, Ohio State University, and Idaho State University. According to USASpending.gov, the DTRA spent more than $67 million between FY 2002 and FY 2012 on products and services that included weapons research and development ($12,311,181), applied/exploratory defense costs ($11,433,401), ammunition ($8,434,999), program management and support ($7,997,665), and other professional services ($4,238,207). Two top-level Air Force leaders lost their jobs in 2008 following several security miscues, some of which were reported by the Defense Threat Reduction Agency (DTRA). Air Force Chief of Staff General T. Michael Moseley and Secretary of the Air Force Michael Wynne were forced to resign their posts after concerns arose over the Air Force’s ability to properly maintain and secure its arsenal of land-based ICBMs and nuclear-armed bombers. In one incident, a B-52 bomber flew from its base in North Dakota to Louisiana carrying armed nuclear cruise missiles without authorization. Another mishap involved the Air Force shipping four nosecone fuses for nuclear missiles to Taiwan, which upset China. Also, the 5th Bomb Wing stationed at Minot received a grade of “unsatisfactory” in nuclear security following an inspection by the DTRA. Other problems reported by the DTRA involved an airman playing video games on a cell phone and inspectors managing to “kill” three security guards during a surprise test of the base security. The DTRA encountered firm resistance to its Divine Strake mission, designed to test the capabilities of a high-yield conventional bunker-busting bomb. Opposition centered on rumors that the payload would in fact be low-yield nuclear, or that it would release older radioactive materials deposited in the soil from tests in the 1950s. On March 30, 2006, Director James Tegnelia commented that, “It is the first time in Nevada that you'll see a mushroom cloud ... since we stopped testing nuclear weapons.” After attempted backtracking and assertions that no nuclear testing or mushroom clouds would be involved, the test, scheduled for June 2006, was delayed and ultimately cancelled on February 22, 2007. Although the DTRA’s entire purpose is the elimination of WMD to ensure greater safety and stability, somewhat ironically the DTRA supports a strong, credible, quickly deployable U.S. nuclear arsenal as an essential deterrence measure. Foreign policy has often run in direct contrast to the agency’s mission, posing the question of its relevance. Acting Assistant Secretary of State Stephen Rademaker’s remarks at the 2006 UN Conference of Disarmament called for a simple multilateral disarmament treaty without verification measures. He argued that achieving consensus on a verification method would be impossible, and that any compromise verification measure would be subject to cheating. At the time, that speech coincided with a general movement on the part of the U.S. away from strict verification for non-proliferation treaties, as could also be seen in the most recent SORT treaty with Russia which proved less binding than its START predecessors. However, a return to verification procedures was seen in the 2010 New START treaty (pdf) between the U.S. and Russia, which called for resuming the use of nuclear inspectors. In a highly irregular move violating the constitution of the multilateral Organization for the Prohibition of Chemical Weapons (OPCW), the U.S. pressured the Director General, José Bustin, to step down in order to pursue its agenda in Iraq, according to an article written in 2002. Shari Durand, a long-time civilian employee of the Department of Defense, took over as acting director of the Defense Threat Reduction Agency (DTRA) in July 2016. Durand is from Somerville, Alabama. Her mother, Peggy, also worked for the Defense Department—in her case, the Army. Durand attended Athens State College, graduating in 1980 with a B.A. in psychology. She later earned an M.S. in procurement management from American University in 1990. She started with the Department of the Navy the following year, as an intern. Beginning in 1983, Durand was a contracting officer for the Naval Air Systems Command in Arlington, Virginia. She was sent to San Diego in 1991 as the contracts department head in the Navy Public Works Center there. In 1995, she became academic director, then director, of the Naval Facilities Contracts Training Center at Port Hueneme, Calif. Durand returned to Washington in 1997 as a deputy program manager in the Base Realignment and Closure Office, and in 2000 she was named assistant deputy commandant for contracts for the Marine Corps. Durand started with the DTRA in 2003 as deputy associate director for business enterprise, working on the business side of the agency dedicated to stopping weapons of mass destruction. In 2007, she was made associate director, business enterprise/component acquisition executive and in 2012, Durand was made the agency’s executive director. She held that post until being named acting director in 2016. 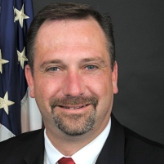 Kenneth A. Myers III has served as director for the Defense Threat Reduction Agency (DTRA) and the U.S. Strategic Command Center for Combating Weapons of Mass Destruction since July 27, 2009. The DTRA was created in 1998 with the responsibility of working with foreign governments to dismantle nuclear weapons or at least to reduce their level of threat to the United States and its allies. Myers holds a bachelor’s degree from Virginia Polytechnic Institute and State University and a master’s degree from the Catholic University of America. In 1994, Myers joined the communications firm of Robinson lake Sawyer in Washington, DC, specializing in U.S. public and private sector investments to the successor states of the former Soviet Union and was responsible for establishing the firm’s office in Kyiv, Ukraine. From 1995 to 2002, Myers served as a legislative assistant for national security and foreign affairs for Senator Richard Lugar (R-Indiana), joining his father, who worked on Lugar’s staff from 1983 until his retirement in 2007. Myers III assisted the senator in his role as a member of the Committee on Foreign Relations, the Select Committee on Intelligence, and the Senate’s National Security Working Group and Russia Working Group. Myers served from 2003 to 2009 as a senior staffer on the Senate Committee on Foreign Relations. He also served as the senior advisor to Lugar on European, former Soviet Union and Central Asian affairs, and the Caucasus, as well as for arms control, arms sales and weapons of mass destruction matters.